With Jane Hart, LEARNTEC has gained a renowned learning expert as a partner. The Briton is a member of LEARNTEC’s convention committee. She conceived part of the convention programme for LEARNTEC 2019 and has expanded the programme to include a complete English-language lecture section. 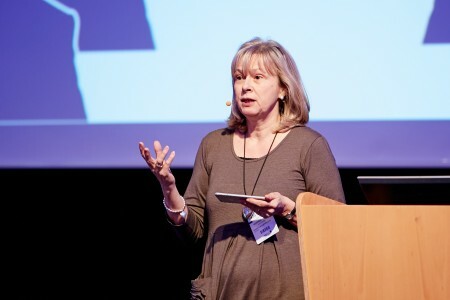 Jane Hart already played an important role at LEARNTEC as a keynote speaker in 2015. Hart has over 30 years of experience in supporting companies and organizations to develop talent through appropriate training and continuing education. A globally acknowledged expert in Corporate Learning, she is also the founder of the Centre for Learning & Performance Technologies (C4LPT), which is one of the leading websites in the field of learning trends, learning technologies and learning tools. This year, Hart was chosen by the US-based Association for Talent Development (ATD) to receive the “Distinguished Contribution to Talent Development” award. 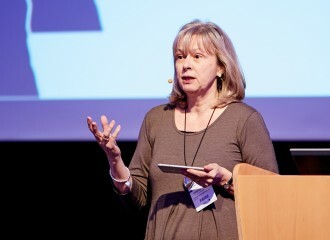 Jane Hart publishes “Modern Workplace Learning”, an online magazine for learning professionals. On this platform, she continually presents research results which reconfirm her thesis that many people do not learn the most in continuing education seminars, but through close collaboration with their colleagues directly in the workplace. Since 2007, the magazine has annually published a list of the best tools for online learning. Jane Hart is also the author of a series of books, including “Modern Workplace Learning 2018”. Partnership with LEARNTEC is a logical step for her: “I am pleased to be collaborating with LEARNTEC to design an English-language lecture section on Modern Workplace Learning.” This includes presentations and interactive workshops exploring the rapid changes that are taking place in workplace learning. The partnership with Jane Hart is therefore not only a gain for Europe’s leading digital-education trade fair, but also and above all for everyone who is eager to learn in a society that is becoming increasingly digitized. 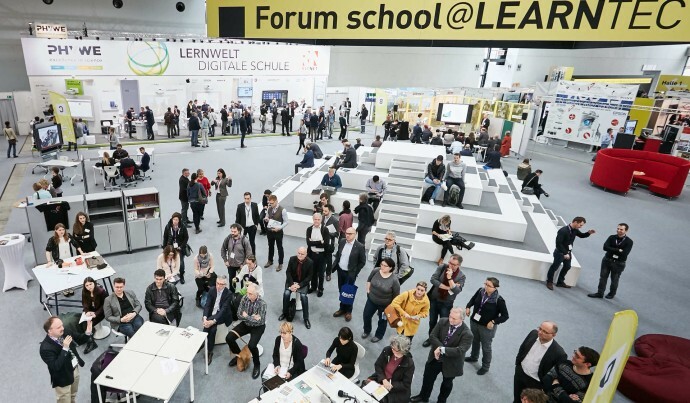 At LEARNTEC 2019, 24 start-ups will present approaches with which they intend to simplify, improve or even revolutionize learning. A visit to these start-ups is especially worthwhile because the entrepreneurs present their ideas in start-up pitches, some of which are based on the entertaining PechaKucha principle. Germany needs innovative educational ideas and innovators need support: young entrepreneurs who bring their start-ups to LEARNTEC can present their ideas to a large and international audience in a designated start-up area and can talk about their innovative developments with visitors at the start-ups’ own stands. 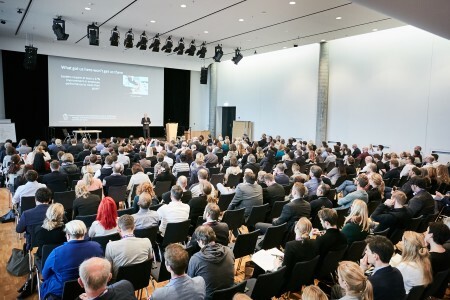 LEARNTEC offers the optimal stage for this – and does so in the literal sense of the word “stage” – because the visionary founders introduce their learning solutions on an actual stage, where they prominently and visibly present their start-up pitches. Among other features, some of these presentations utilize the entertaining “PechaKucha” technique, which was invented in Japan and is sometimes spelled “Petscha-Kutscha” in German-speaking countries. 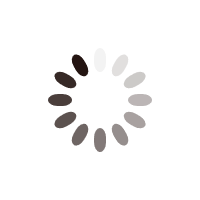 Each lecture is accompanied by twenty relevant pictures or slides, each of which is shown for twenty seconds. This structure rigorously limits the speaking time to slightly less than seven minutes – and simultaneously assures an exceedingly concise presentation. Afterwards a jury selects the day’s winning presenter. But even without winning a victory, participation is always a winning situation, because after their presentations, the speakers learn which aspects they could further improve. This boosts their chances in the “acid test”, i.e. when they pitch their start-ups to potential investors. To make the best possible use of your time at a trade fair, having a clear overview of all offers there is no less important than careful advance planning. With guided tours and a special app, LEARNTEC enables its visitors to take home valuable knowledge and new contacts. Nowadays important information is best stored on a smartphone, where the data are always quickly accessible. This is especially true at LEARNTEC, where digital assistants are an important topic. That is why the fair offers its visitors a well-structured app that performs many useful services. Before the fair begins, it simplifies planning by providing a list of exhibitors and information about the supporting programme. Visitors can use the app to mark exhibitors that are interesting for them and to create a list of those exhibitors for their tour of the fair; a built-in hall plan helps users instantly locate the relevant exhibitors’ stands. 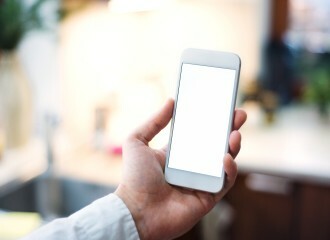 Users can individually search for and save individual programme items; if desired, the app will export these items to the smartphone’s calendar as reminders. No one needs to carry pens and paper with them at this fair, because the app includes an integrated note function with image upload. Another useful feature of the app is its matchmaking module, which makes networking child’s play. Into the module, exhibitors enter the subject areas in which they offer products or services, and they also specify their contact persons. If one of the fair’s visitors is interested in a particular topic, the module shows its user all relevant suppliers and identifies their contact persons. Moreover, the app can also be used to directly contact the exhibitor, e.g. to schedule a face-to-face meeting. To assure that the flow of information doesn’t remain a one-way street, the app offers the opportunity to actively participate in the supporting programme by enabling visitors to vote directly from their smartphones during surveys conducted at lectures. The app is an extremely useful tool for everyone who wants to get the most from their visit to LEARNTEC. Click here to download the app for iOS or Android. A good overview of the fair’s extensive spectrum of products and services, as well as its diverse topics, can be gained by taking one of the guided tours. The tours are offered in English and in German on all three days of the fair, which runs from 29 to 31 January 2019. The Highlights tour focuses on the newest and most interesting trends at the fair. A specially tailored tour for newcomers in the field of e-learning explains the most important basics of digital knowledge transfer. The daily tour on Augmented and Virtual Reality focuses explicitly on these stimulating topics. Additionally, the fair also offers a tour dedicated to digitization at universities, workplaces, and in scholastic education. All tours are free of charge. The number of participants is limited, so early registration is recommended. A warm welcome or a cold shoulder? Understand others or misunderstand them? Achieve success or suffer failure? – Social life is a significant motivator for human beings. Our brainware can be actively encouraged to learn. The researcher Franca Parianen explains how at LEARNTEC 2019. What needs do we yearn to satisfy? What drives us? What is the source of our motivation? And why do we sometimes give up? In her lecture “83 Billion Neurons Like It: Understand and Utilize our Brain’s Motivating Power”, the social scientist and neuroscientist Franca Parianen sheds light on these questions from the perspective of social life. After all, humans originated as social beings – although, as Parianen wryly observes, many people try very hard to conceal that fact. That’s why social life is a decisive driving force behind our actions and behaviours. Life doesn’t go smoothly without cooperation. This inescapable fact intensively influences learning. We acquire a large part of our abilities in order to get along well with others and to keep up with them. From the moment of our birth, we try to understand the actions of our fellow human beings. We seek their approval and shun their disapproval, which show us what is right and what is wrong. “That’s why we imitate even the silliest facial expression – because, who knows, it could possibly be important”, explains Parianen, who researches the fundamentals of human behaviour on the neuronal and hormonal level at Helmholtz Institute of the University of Utrecht. When we consider this strong motivation and other driving forces, we can better understand many phenomena: from the sense (and nonsense) of social rewards to disappointment, and from the “wisdom of the many” to the foolishness of the flock. Your mobile trade fair guide is online. The new LEARNTEC app provides you with comprehensive information concentrated into a single source. Use the multitude of options to plan your visit, to establish contact with exhibitors and other visitors, and to ensure you are always up to date on location. TUMO pursues an absolutely innovative concept: independently and under their own responsibility, young people between the ages of 12 and 18 explore digital education in school, especially themes from the digital sector. To augment their regular classroom lessons, the pupils can spend two hours per week taking self-learning courses in computer programming, digital drawing, video, cinema, music and animation. The development of the children and teenagers occupies the foreground: there are no grades or report cards at TUMO. Unlike conventional lessons, pupils learn at their own speed. Freed from performance pressure, they can familiarize themselves with technical possibilities at their own pace and allow their creativity to run free. The school is conceived to accommodate up to 4,000 pupils; 25% of the available places are reserved for children from social flashpoints. TUMO in Paris is patterned after a homonymous facility in Eriwan, which was chosen as the world’s most innovative school three years ago. Paris’s mayor Anne Hidalgo, who first became acquainted with TUMO when she visited Armenia’s capital city, is confident that this concept will also work well in Paris: “TUMO will develop into a communication centre for young people, where they can not only acquire new skills, but also realize their most creative ideas and take part in the digital adventure.” The facility is financed by the European Union: the city of Paris won the competition for “European Capital City of Innovation” in November 2017 and received a cheque worth one million euros. 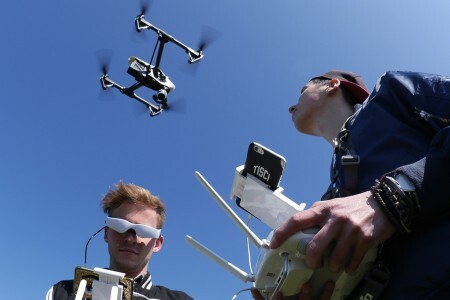 As part of “High-Tech Strategy 2025” (HTS 2025), the Federal Ministry of Education and Research (BMBF) is providing 3.7 million euros to support the “Student Crowd Research” interdisciplinary research project. Students at Macromedia University working on a learning project with drones. This project is a digital educational space that facilitates students’ collaborative and investigative learning. Innovative video technologies are an integral part of the project. Thus far, the majority of German universities use video as a medium for visualization of learning contents: students can view contents, but remain passive spectators. “Student Crowd Research”, on the other hand, aims to utilize video technologies as learning tools. Prof. Dr. Andreas Hebbel-Seeger from Macromedia University is responsible for this area, which is a cornerstone of “Student Crowd Research”. Only when innovative video technologies are combined with interactive formats and self-evaluative instruments can a significantly greater number of students participate in forms of learning that have traditionally demanded intensive mentorship, e.g. student research projects. How does a good idea become a successful innovation? What do “innovations” really mean? And do innovations always bring progress? Answers to these and other questions can be found aboard the InnoTruck of the Federal Ministry of Education and Research. The double-decker lorry tours year-round throughout the Federal Republic of Germany. The vehicle’s interior understandably illustrates the role that innovations play in our daily lives. The initiative was conceived for all interested citizens, especially for young people, their parents and teachers. Visitors are invited to learn about numerous thematic fields and associated professions: the spectrum ranges from the digital society through sustainable commerce to healthy living and intelligent mobility. Experts are on board to assist visitors who would like to discuss themes in greater depth. 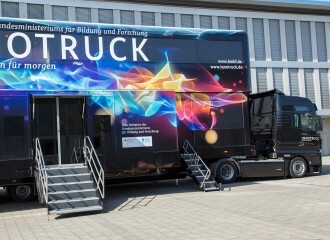 But the InnoTruck isn’t only for passive spectators, it also welcomes active participation: various experiments invite young people to play the role of researchers and experience technical progress firsthand. Curious? 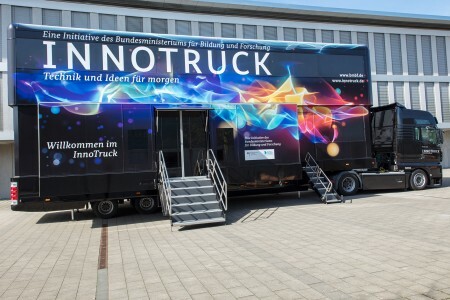 The InnoTruck will visit the following cities in November: Bonn, Königstein im Taunus, Oberursel, Weinheim, Karlsruhe, Pliezhausen and Stuttgart. 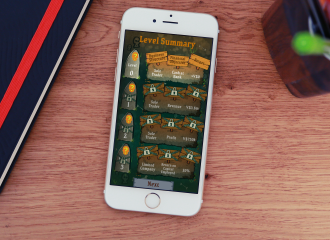 “Count FEFE” is a free game app designed to teach founders of start-ups the financial know-how they need for their new business ventures. The programme developed from cooperation between Britain’s Aston Business School and eLearning Studios in the context of the EU-sponsored “Financial Education for Future Entrepreneurs” project. 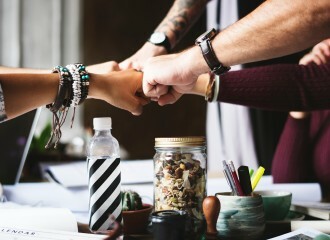 The software was introduced because Aston Business School had determined that lack of financial expertise is one of the most common reasons why recently founded companies fail. 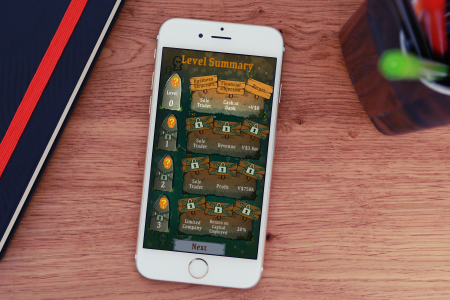 The app, which is available for iOS and Android, aims to close this gap through gamification. In the game, the user assists a vampire who has inherited a fortune and invested it in a start-up retail coffin business. The vampire must continually overcome new difficulties. As the game progresses, players learn how to master the challenges of corporate bookkeeping and develop a sense for financial decisions, while simultaneously being introduced to specialized terminology through their work on behalf of the vampire’s company. Count FEFE is presently available only in an English-language version. The DeltaX students’ laboratory was officially opened in Helmholtz Centre Dresden-Rossendorf at the end of October 2019 by Saxony’s Minister of Culture Christian Piwarz (CDU) and Dresden’s Lord Mayor Dirk Hilbert (FDP). Institutes, companies and museums in Dresden expect that the laboratory will promote students’ interest in doing research. At the same time, DeltaX serves as a next-generation incubator for scientific institutions and high-tech businesses in the Saxon state capital. The laboratory is lavishly equipped: from lasers and biological incubators to gas chromatographs, state-of-the-art equipment is available for young researchers to use in their experiments. “The new building offers the very finest technology”, says DeltaX’s director Dr. Matthias Streller. Students now have totally new opportunities to conduct experiments in chemistry and molecular biology under genuine laboratory conditions. In the near future, more than 3,000 students will learn and experiment in DeltaX, which primarily specializes in physics, chemistry and biology. M.I.T e-Solutions and LinguaTV will jointly offer ready-made learning solutions from today . M.I.T will provide its learning management system New Academy and 150 standard learning programmes. LinguaTV, a vendor of video-based language trainings, contributes more than 1,000 videos for language training. M.I.T has developed an interface for its learning management system that allows New Academy users to access the course server of LinguaTV. The training packages cover topics of IT, economics, compliance and language learning as well as safety issues. 45% of German citizens have already used digital learning formats, in order to further their education, every fifth one uses payable products. These are results from a recent Bitkom survey . 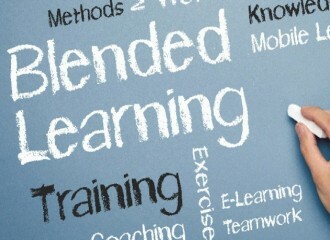 77% and 75% of the users of blended-learning-programmes and mobile learning apps are willing to spend private money on digital trainings. The numbers drop to 22% and 15% for users of desktop learning programmes and online courses. There is a big interest in private further education: Three of four Germans (76%) make use of trainings, be they offered in classical or digital formats. There is light and shadow in the present digitisation level of German universities, finds a recent univativ survey taken from the student perspective. Four of five students have the possibility to download lecture materials and scripts, two thirds use an internal learning platform. The digital organisation of studies with interactive schedules and notifications in the case that lectures are cancelled has still a long way to go. Every fourth student cannot reach his professor by mail or messenger. Only 22% trust academic data protection. 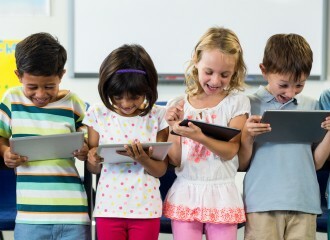 From the beginning of the new school year in September, mobile phones will be completely banned in French elementary and middle schools, declared Jean-Michel Blanquer, the minister of education . Until now, cell phones were only banned to be used in class. But all middle schools are to establish choirs that today only exist in every fourth school. In 2015, 80% of French teenagers owned smartphones. 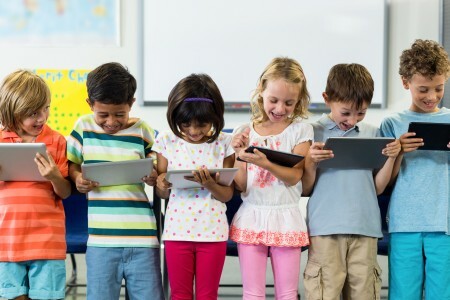 In Germany, the federal states regulate the use of mobile phones in schools. Mostly, they leave the decision to the individual schools. In Bavaria, cell phones may only be used for teaching purposes. A representative survey of Bitkom provides up-to-date information on the training expectations of German employees. 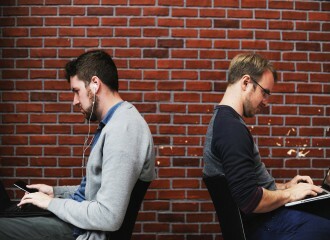 72% complain that there is no time for trainings on digital technologies at work, and 59% say that their employer does not offer trainings on these topics. For 39% this is the case, although their company has increased the use of digital technologies. 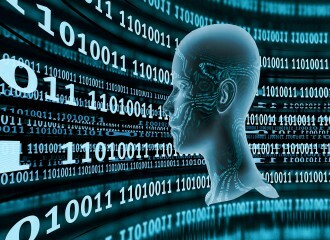 77% believe that digital know-how will be as important at work as professional expertise and social skills. 76% take part in trainings on a private basis, and 36% would spend 2 or more hours per week for training activities. 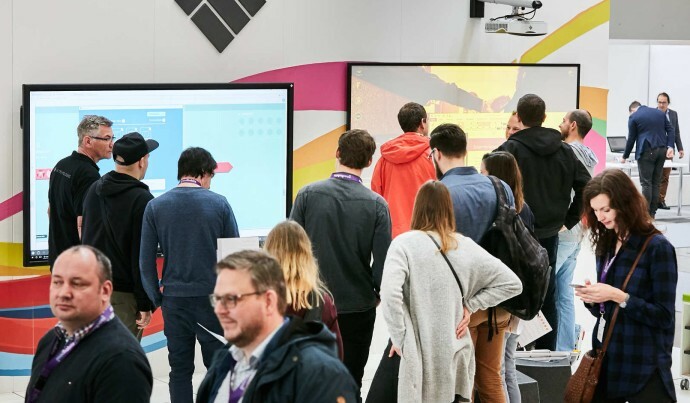 Europe’s largest event for digital education will present the latest trends and upcoming developments in digital learning from 29 to 31 January 2019. 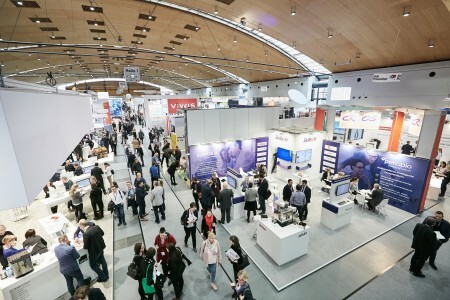 Over 10,000 decision-makers from the worlds of industry, consulting, trade and sales will come to LEARNTEC at Karlsruhe Trade Fair Centre, where 300 exhibitors from fourteen countries, along with the fair’s accompanying convention, will update visitors about the newest applications, programmes and solutions for digital education in schools, universities and vocational training. “Future learning: social, global, digital” is the motto of the convention, where national and international keynote speakers will peer into the future of the digital education market. The convention presents successfully implemented educational projects and connects them with offerings from the fair’s exhibitors. Jane Hart, a well-known expert on Modern Workplace Learning and a speaker at previous editions of LEARNTEC, is now contributing toward designing LEARNTEC as a member of its convention committee. Her English-language lecture section on Modern Workplace Learning will include presentations and interactive workshops exploring the rapidly changing world of workplace learning. International speakers will introduce the newest trends around the globe. Have we sparked your curiosity? The highlights of the trade fair and convention are discussed in the following video by Britta Wirtz, Managing Director of Karlsruher Messe- und Kongress GmbH, and Sünne Eichler, member of the LEARNTEC convention committee. 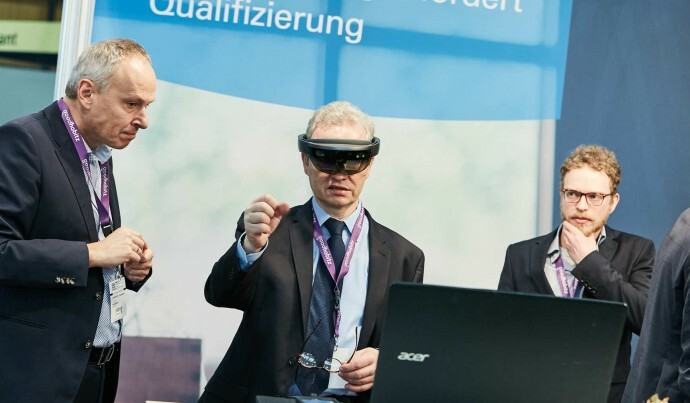 Universities in the digital age – visit our programme of presentations university@LEARNTEC and discover many more different ideas for your university on all three days of the trade fair.